George Savoidakis, a restless businessman and perfectionist, foresaw the market needs and in 2001 started to extend the production unit from 2.000sq.m to 14.000sq.m. (Prior to that, the total area has reached the 2.000sq.m due to earlier additions/extensions). In fact, that was a huge investment risk. The whole reconstruction needed to be deliberate and built in compliance with the European Union’s provisions. Besides the enlargement of the production unit in Heraklion, we started the construction of a new factory of 2.500sq.m in Rhodes Island. As people said, it looked like a smaller version of the Heraklion factory. In 2004, when the two production units were finally complete, we set up the processes concerning the HACCP certification by TUV HELLAS. Investing a lot in the excellent product quality, the company created an HACCP team coordinated by the Quality Assurance Manager in order to control each quality and hygiene aspect of the production procedure, from the raw material sourcing to the point the final products reach the consumer. On this purpose, we maintain a valuable and significant collaboration with the Laboratory of Bacteriology and Geographical Medicine of the University of Crete. 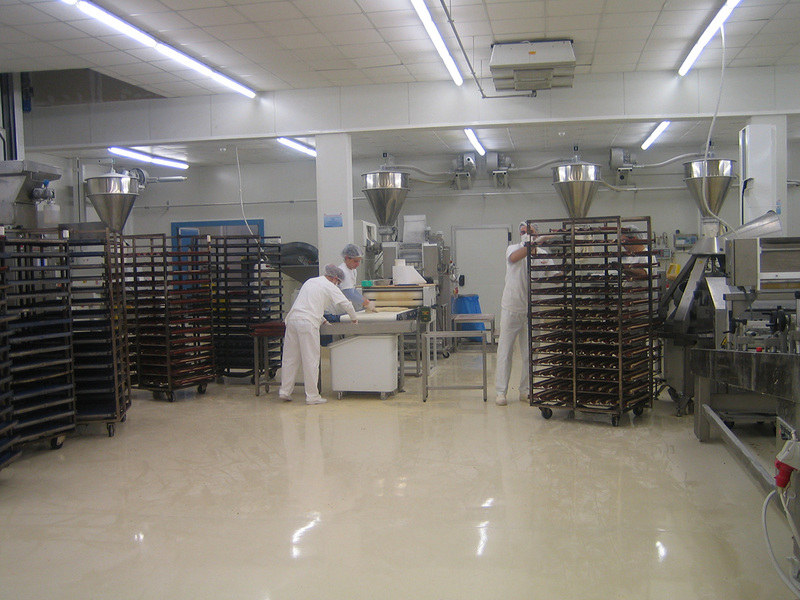 Upon complying with all HACCP requirements, the company started the catering of hotel chains, foodservice companies, hospitals, military units, supermarkets, cafes etc. The factory of Heraklion by possessing the most modern machinery has the potential to implement the vision of its founder. Henceforth it achieves higher production capacities in order to respond to the market needs of not only Crete and Greece but also abroad.